Private vs Public. This has been a debate that has been taking place from the beginning of the rise of the educational system that has been present in our country since the early 1900s. What once was a one-for-all education in a town schoolhouse, turned into the formation of city and state funded public schools, which led many parents to consider an alternative education experience to what their city provides- private school. Now I am a self-proclaimed, ‘’private school girl”. However, it wasn’t always that way, because I was fortunate enough to attend two of my city’s three magnet schools while at the elementary level. Once time for middle school came around, rumors of my city’s ‘’bad’’ middle and high schools broke out. I heard about gangs, drugs, and bullying worse than what I was currently experiencing in elementary school. My brother had attended private school all of his life, while I, thinking private school, is ‘wack’, decided to stay enrolled in the public school system until I graduated elementary and then switch for middle and high school. This September marked six years since I have been enrolled in private school, and I’m proud to say that I feel, my parents and I have made the right choice. Many people felt uneasy upon hearing my desire to leave public school, with declaring statements such as ‘’it’s a waste of money’, or that it wouldn’t benefit me any more than public school did. They also marvel at the fact that I wake up earlier than most teens do, just to be able to travel from my home in suburban New York, (Westchester County), and into the hustle and bustle in Manhattan (where my school is located). As I have previously stated, I personally have discovered that private school is the right fit for me, and I have written this article to dispel any myths that may stand in the way of deciding between the two. Now this is just a hasty generalization (yes, and ode to AP English!). As always, there are plenty of shows, one example being Gossip Girl, which show private school to be a haven for the wealthy and social elites. Do not be fooled by this-- many individuals who attend private schools are scholarship students, meaning that they really can’t afford to be there. I, for, one am a scholarship student. Upon graduating from middle school, my parents, who were having financial issues, did not know whether I would be able to continue in private school or not. Luckily, I was contacted by my current high school and I received a scholarship that has been a big help to my family financially. Don’t be blinded by the hype of the media. Private school students are just like every other kid, most aren’t rich or ‘’privileged’’, but have just chosen that particular educational route. Although most private schools do wear uniform, many do not. There are Montessori Schools, and other independent schools that do not place a uniform requirement on your schooling. If you are someone with a passion for fashion, who thrives on other’s compliments of their outfits, accessories, e.t.c., then private school can still be an option. Some have a uniform that is optional but not mandatory; others have mandatory uniforms, while others have no uniform at all. Never let a fear of uniform influence your high school decision, because uniform isn’t even a factor in some private schools. This myth is completely subjective. Yes, some private schools can be more academically challenging than public schools, but this isn’t a one-size-fits-all deal. Not all private schools are rigorous, or better academically, than a public school. I wouldn’t advise anyone to weigh the academic rigor of a high school, or any school, based on whether its public or not. The amount of academic rigor that a school has in its curriculum is unique to every school. Some schools have numerous AP courses, other schools have very few. Some promote the IB diploma, while others recommend dual enrollment. Beyond the private and public school spheres, there are many different types of high schools, all which vary in rigor. Some are rigorous, others aren’t. A private school isn’t necessarily more rigorous than public school, and vice versa. Now this is just one big lie. This is a lie that almost stopped me from applying to the private high school that I currently attend now. While in eighth grade, I was told that top ranked colleges (Ivies, Stanford, and such), do not admit private school kids, that they prefer those who make do with what they have been given, which is the reason why they are said to ‘’prefer’’ public school students. There are plenty of great public schools, but my city just doesn’t have them. My deciding on attending private school was influenced by my strong desire to learn, which I felt would be put to use in classes with smaller class sizes. I knew I wanted to attend private school, but I had thought that I ruined my chance at top college admission because of it. Little did I know, there have been the occasional alumni of my school that have went on to attend prestigious institutions such as Harvard and Columbia. It is extremely rare, but it does happen. College admissions are based on a holistic review, meaning that they take everything into account, starting with the high school you attended. Do not fear, colleges aren’t looking to expel public school applicants, admit private, or vice versa, they are looking for a diverse class, filled with students from all walks of life. Going to a public or private high school will not be an advantage or disadvantage when pertaining to college admissions. IS PRIVATE SCHOOL RIGHT FOR ME? Now we have come to the end of our article, the point where you decide if a private or public school education is right for you. Whether you are looking to start high school or college, here are some factors to consider when deciding to take the private vs public school route. A. Can I survive in a large school? Private schools tend to be small, while some public schools house as many as 5,000 students. If you hate the impersonal feeling of a large school and thrive in a more intimate environment, then private school may be a viable choice for you. B. What class size suits me best? Some people thrive on lecture style classes, and can still stay in tune with a professor despite being surrounded by a large group of students. Others prefer a smaller, more intimate, classroom setting, one open for discussion and comments on observations. C. Is religious education important to me? Many private schools enforce religion into the curriculum, public schools do not. Is religion important to you? Would you like to be surrounded by students and teachers who share your faith/religious beliefs? Those are all things to think when considering any school, whether private or public. I hope this article can get you one step closer to making your choice. Shortly after I started senior year of high school, I attended a FAFSA informational meeting. I walked in into the meeting room to hordes of parents and their uninterested children crowded around the front of the room near the speaker. Throughout the meeting, parents raised their hands and took pages of notes but at the end, the most common asked question from the parents was whether their child would qualify when they are more than well-off (combined your parents make over 150-200K). Parents at the end of the session waited in line to speak with the presenter to tell them of their situation, among them were my parents. They asked whether they should even attempt to fill out the application among other things. However, the one answer that the presenter told everyone was that the parents should definitely file out the FAFSA. FAFSA, or Free Application for Federal Student Aid, is a FREE form that the federal government, states, and colleges/universities use to award grants, scholarships, work study and student loans . The maximum amount college students received from the 2014-15 financial aid award year was $5,730. The grants and scholarships are free but any loans have to paid back. This year, the FAFSA has received a few changes. The form is available in October instead of January and parents are allowed to use the prior-prior year tax information instead of the prior tax year. This gives students more time to apply for aid as well as allow for parents to file for FAFSA before filling their previous year’s taxes. Filing for financial aid is a good idea just in case your family experiences a change in financial circumstance such as a job loss. Some schools may not be able to reconsider applications for assistance after their deadlines, even if a family’s financial status changes. Do notify them however as soon as possible. It will make the process easier. Having a FAFSA form filled out allows for you to get the option to request reconsideration due to the fact your status changed. Some colleges do have contingency funds for such situations. Money is limited but schools might give priority to the students who have their FAFSA on file. 2.Siblings could equal more money. 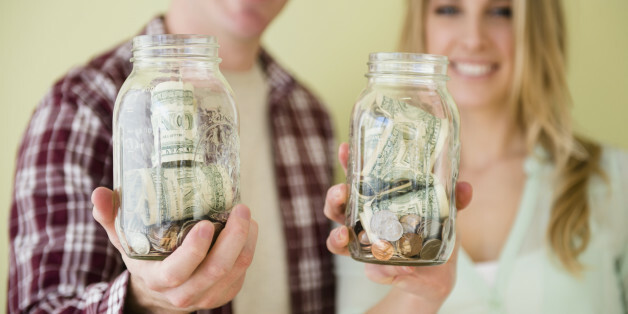 Financial aid is calculated based on the difference between the cost of attendance and the expected family contribution, or EFC, which is calculated on the FAFSA. So if you have siblings, especially if they are in your age group, you are in luck! Students from well-off families could qualify for aid at expensive colleges, especially if multiple children from the family are in college at the same time. The government requires students to complete a FAFSA if they want to be eligible for any federal student loans or grants. When you fill out the FAFSA, they send you a letter with information regarding your applications as well as any grants and loans you would could earn. There are non-need-based loans that students from wealthy families can qualify for. If you want to consider borrowing money for your student, you will need to complete a FAFSA to access government college loans. Some colleges may also require a FAFSA in order to be considered for certain non-need-based scholarships. Now, if you do not get money the first time, you can apply for FAFSA every year so if your EFC changes as mentioned above changes, it adjusts to your needs. However, make sure you keep up with your grades to earn the maximum amount of money. I hope these tips will help you out this upcoming year. Leave a comment down below if you have any questions. And as always make sure you follow us on Instagram and Facebook. Are you a currently enrolled in an accredited college or university? Are you physically residing in the United States? Are you registered or have an account with Course Hero? Then this scholarship is for you. In four simple steps you can will a scholarship towards your education. All you have to do is make an account with Course Hero, give advice on classes you’ve taken, submit five original documents, and share on social media. That simple! Do you plan to attend college but finances are a problem? No worries, apply to the College JumpStart Scholarship. The only requirements is to be current sophomore, junior, senior, college student, or non-traditional student and are/plan to attend a post-secondary institution. Answer one of the four personal statements on the application, which is being judged based on content not writing skills. Run over to the website and apply; it should take only 20 minutes. Roses are red, violets are blue, you’re reading this article, and I thank you. Well, I’m pretty sure you can come up with a better poem than that. This scholarship is for those who are into creative writing (more specifically those who like poetry). Write a poem about what makes you feel good. All you have to do is go to the website and add your poem. Theme: What make you feel good? Do you want to go to college but money is an issue? Do you have a 3.0 GPA or higher? Well look no further! If you are a current senior in high school and you have minimum of a 3.0 GPA then you can apply to the Coca-Cola Scholarship. Explore the Coca-Cola Scholars page and look more into the requirements. Help a Friend Register to Vote! This scholarship is a tad bit on the weird side. You are taking your friend’s V-card. No not that V-card! Their voting card. You will help your friend register to vote. You’ll need to get on the website to find out all the little details. The definition of weakness is: (A) lacking strength or (B) an attribute that is a disadvantage. Everyone has a weakness; everyone. 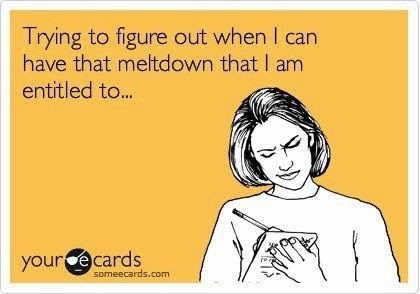 My biggest weakness is my patience and temper. Don’t use your weakness as an excuse to not succeed. The Get Up! Get Active! scholarships allows students to identify your weakness and take action on how to solve them. You must be a high school or college student who is 15 years of age or older. Do you have wonderful ideas to shape the world around us? Education is a major key to being successful in life. The Youth Noise Scholarship wants to hear what motivates you. You need to make a 2-3 minute video and upload it to YouTube. To submit it, you will need to send the active link, your name, address, and phone number through e-mail. Is your imagination running 24/7? Do you find yourself randomly doodling in a notebook? Then you should take your artistic abilities and apply for the Doodle4Google scholarship open to students in K-12 who plan to go continue their education past high school. Each year, Google awards one lucky winner a scholarship and a feature on the Google homepage. Do you think you have what it takes? Grab your colored pencils and get the doodling. Theme: What do you think the future will look like? Theme: What is the most urgent issue for the new president and congress to address in 2017? P.S. Don't wait to start! The Perfect Score Game: Do You Really Need That 1600? I remember the exact moment that I decided that I was not taking the SAT ever again. It was early-June, my junior year was finally ending, and school was beginning to unwind. Just one more thing needed to happen before I could begin my summer of cool relaxation: SAT scores. I unlocked my phone and typed in my college board username with great trepidation but also with the vibrant, microscopic hope that I would get the illustrious 1600 that I thought would be my ticket into any college of my choice. That hope died as soon as I clicked the “See Your Scores Now!” tab. Do I really want to take another SAT? Let me paint a picture of my junior year for you. After six AP tests, SATs, and with the overhanging stress of subject tests, summer work, the essay, and actual college applications steadily and quickly approaching, taking the SATs again was the last thing that I wanted to do. I simply did not see myself having the time this summer, with work, summer programs, and schoolwork, to actually make studying for the SAT a priority, let alone do it well. Can I afford taking another SAT? I also realized that in order to improve my score, I would have to try a new studying strategy. For the past two SATs, I had relied solely on self-study, with my trusty blue SAT book always by my side. I realized, however, that to gain the drastic improvement on my scores that I wanted, I would need to invest in some other study method, perhaps a class or a tutor. The simple fact of the matter was that my lower-income family could not afford sending me to a class or paying for a tutor; even the monetary expense of just taking the SAT again, when added to the future cost of SAT subjects and college applications, made taking the test again seem unnecessary. Is that perfect score really essential to my college application? This last question made my decision clear. In order to answer this, I had to evaluate the other parts of my application. My high school transcript, while not perfect, was generally excellent and put me in the higher section of my top choice’s 25-to-75 GPA mark. Throughout high school, I had made it a point to foster good relationships with all of my teachers and my guidance counselor, so I was pretty confident in my recommendation letters. I had never received any disciplinary action nor had I any blemishes on my record. My extracurricular list was intense to say the least, but still credible with many awards, honors, and leadership positions to show my commitment to my activities. By this time, I had already written my college essay, and although I knew that I had a whole editing process to go through, I was satisfied in its content and its ability to speak for myself as a person. My short answer came to this: I had worked hard throughout high school, and that showed with or without a perfect score. My scores were good for the schools that I wanted to get into, and the financial and physical strain of preparing for another test just for the vanity of a perfect score did not seem worthwhile to me. In truth, the only person who can accurately judge whether or not you need that score is yourself. Maybe the other parts of your application are lacking for your top choices, so the SAT is really where you want to shine. Maybe you have the extra time and resources that you need to greatly boost your score. The scenarios are endless and different for everyone, but for me, it came down to one easy decision: no more SATs! Harriet Tubman, the great worker of the Underground Railroad, once wrote about dreams, “Every great dream begins with a dreamer. Always remember, you have within you the strength, the patience, and the passion to reach for the stars to change the world.” When we apply to college, and look for the institution whose name is going to be right above our degree type and our full name with a bunch of scribbles at the bottom that are supposed to be names, we oftentimes dream. 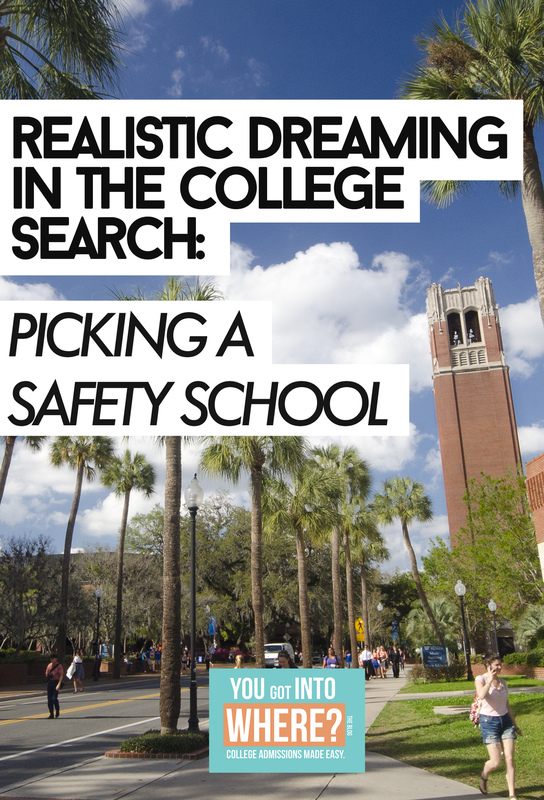 When picking the colleges of our choice we are told to dream, to be realistic, and to be confident, as we compile a list of reach, match, and safety schools. While some of us have great success when applying to our match and reach schools, the rest of us may not be so lucky. Safety schools are schools that you are basically guaranteed to be accepted to. This usually means that your academic profile (GPA and ACT/SAT scores) are well above your school’s average. Depending on your resume as whole, some people will apply to five safety schools, and others will take a risk and only apply to one. No matter how many you decide to apply to, they are still colleges that you’re spending precious time and money on with applications. You want to consider the cost of your safety school, as cost is a factor that you’ll (most likely) consider when in the college process in the first place. From experience, I’ve found that some smaller state schools or some lesser known private schools have scholarships that are guaranteed based off of GPA and SAT and/or ACT scores. Schools that have these scholarships are great institutions to consider because if it’s a safety, you’ll be some of the most qualified applicants, your chances of getting these will be likely. If they don’t have guaranteed scholarships, you can call the safety schools you’re considering and see if they have some sort of informal threshold for merit based scholarships. According to the University of La Verne, 50-70% of college students change their major sometime during their college career. Even if you think you’ll stick with your intended major throughout your undergraduate experience, the odds may be ever in your favor, and you may find yourself going from a science to an art major after the first semester. Because of this risk factor, make sure that you pick safety schools that have your intended major in addition to other schools of interest. This may be easier if you only see yourself liking generic majors, but if you have interests in things like business or journalism that generally have unique individual’s schools within a university, look for these in your safety schools to avoid transferring later. Just like home buyers have on shows like House Hunters of Love it or List It, when looking for colleges you may have a mental list “must-haves” that you want in a college. Whether you must haves a dominant party scene, a library open 24/7, or warm weather, just because it is a safety doesn’t mean you should let it sacrifice in one area or another. You want to be just as picky with how you pick your safety schools as you are with your match schools. I completed my final year with a class field trip to Cedar Point and my photo gallery is stuffed with photos of my friends and I in tears. High school was officially over and all of my friends were going their separate ways. Even though my pictures on graduation night said otherwise, I was excited to leave high school and get off to work. The first day of summer meant the start of accomplishing my only goals at the time: have enough money to be able to get one smoothie a day, and get a scholarship to college. With little knowledge of the college admission process, let alone financial aid options, I immediately jumped at the opportunity to be a golf caddy at my local country club. While my mommy-and-me golf lessons ended abruptly in the 5th grade (and so did my dream of being the next Tigers Woods, or as I called him, "the guy in the red shirt") due to the birth of my brother, I figured that re-learning golf vocabulary would be worth it if I was getting tipped big bucks in return, in addition to having the opportunity to get a full tuition scholarship to one of my two big state universities. It appeared that by working often, I would soon enough move up in the caddy ranks, gain a reputation between my clubs members, and be on an easy path to accomplishing my goal. After a short summer and a majority of the fall caddying, combined with a vacation to Martha's Vineyard and a violin intensive, I quickly accepted that I was going to have to find another way to pay for college. Trudging around miles on a soggy golf course with shoes creating blisters the size of quarters was the last way I wanted to earn 60K towards college tuition. However, the experience was one that I have never regretted, as I learned lifelong skills about the workforce a lot earlier than my peers. 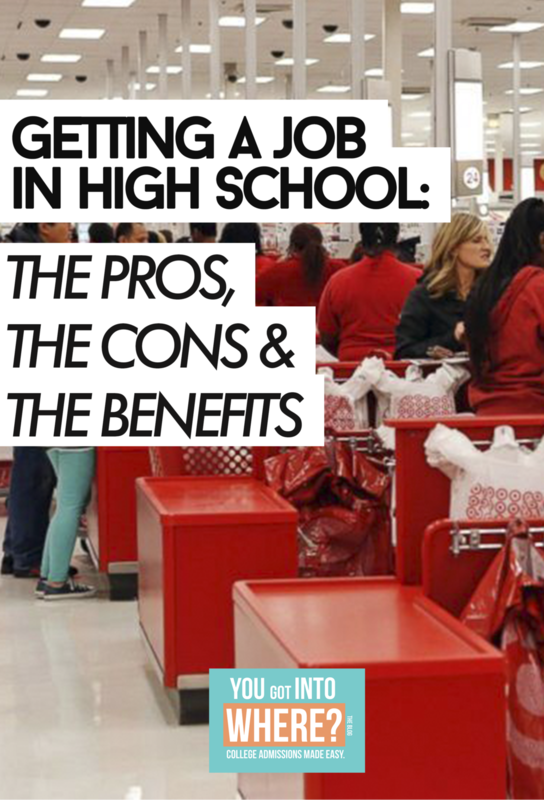 Within my personal experiences combined with what I heard from my peers makes up the pros and cons of getting a job in high school. 1. Skills for Life When the smallest slip-ups can get you fired from your job and the smallest gestures of kindness can get you promoted, you quickly adjust to being on your best behavior. You'll learn a myriad of different skills that will be applicable to life, including punctuality, treating even the most complicated of people with respect, how to handle situations appropriately, how to think on your feet, get an introduction to the banking system, and much more. 2. The Money While this pro is probably one of the reasons you were considering getting a job in the first place, I think it’s less about the money itself and more about the freedom you have with that money. You won't have to wait until Christmas to get your Converse because your parents are buying them, because if you have the money available you can purchase them yourself. You can also put your money towards something meaningful, like to your own family that is struggling financially or even to GoFundMe campaign that’s going towards food in a developing country. Your money will also be accessible at any time, which will help you gain the responsibility to spend it wisely. 3. Your Resume While it’s never good to do extracurricular activities for the sole purpose of getting into college, having work as an experience is something that is looked highly upon on college applications because of all of the skills you learn when you have one. If you find a job that you like and can commit time to, it could become your "thing" like some play basketball or strum a guitar in a band. 4. Exposure to Future Careers While you dig a little deeper (as sung in the Disney original, Princess in the Frog) in your job search, you may come across job opportunities that can expose you to your field of interest. While they may be harder to find, it is not unheard of for doctor's offices, law firms, and jobs in other professions to hire high school students to do office work. While it may not be direct exposure to the field itself, opportunities could lead to shadowing that office or even moving up in ranks that expose you to more in that career path. 1. The Hours For most, if not every part-time position, employers will have a minimum amount of hours they want you to work in a week, and quite honestly don't care too much about how hard your classes are or how long your soccer training is. If you have to do, say 15 hours a week, but would like to sleep for six hours on a good night and have a little time to watch a weekly episode of Grey's Anatomy, you'll have to spend the majority of your weekend working. And even if you decide to work during the week, when you first start out, you're almost never guaranteed the best hours and could be working on a week-night from five to ten. Rest in peace to family dinners and watching Jimmy Fallon live. 2. The Money The extra pocket change you receive in return for your hard work is great for your movie visits as it can allow you to get the medium popcorn and a drink. However, at some jobs, it may not be all that you thought it was going to be, especially in jobs that rely heavily on tips. While dreams may consist of you 'making it rain' every day, you may quickly come to the realization that you're going to have to gain a lot of experience to be able to wait more than two tables at once or have the privilege of serving that table for 10. It's not necessarily that you won’t earn any money, but it may take some time for the funds to build to an amount you're satisfied with. While having a job in high school is something that takes a big commitment, there are a plethora of benefits that can be gained with having one. However, some activities aren't for everyone, so it’s important to use your best judgment in deciding if adding a job to your busy schedule is right for you. If not, you can always consider getting one during the summer. You’re at that awkward age when your parents want you to be independent. You’re legally able to get a job, you’re probably driving, and you’re about to go off to college soon. For me it was all of the above; it’s not that bad, actually. Here are five tips on making money in high school. This is the easiest, smartest, and quickest way to earn money in high school. An after-school job is the most common thing and always has been. For me, I have a part-time job at Famous Footwear, which is notorious for hiring people enrolled in some form of educational institute. Good places to find a job are places like McDonald’s, Subway, Target, the Zoo, and Six Flags. Just build a resume and call around to ask if places are hiring. However, do not get discouraged if you have no experience. Everyone has to start somewhere. There is this program here in my city called Saint Louis Internship Program (SLIP) that gives students a paid internship after they have completed the necessary steps, weeks of preparation. Find out if your city has something similar to SLIP or if your school offers a program like that through a local college. It offers more benefits besides money, you gain connections and insight on the career field you want to pursue. If you have a car, offer to take people to and from places. For example, the homecoming game is coming up soon, charge people $5 for you to take them to the game if it’s not at your school. If a person needs to go to work and it’s a 15-minute drive from the school, charge them $5 to take them to work. This is can become costly due to gas, do this at your own discretion. Us high schoolers like paying in cash for some reason and always manage to have loose change lying around. Get a shoe box or a jar, I use an old Noxzema container and put all your change in there. Coins and dollars put it all in there. I’ve saved $50 using this method. At the end of the year, go to a Coinstar machine, insert your coins and dollar bills will come out. To Switch or Not to Switch: Is Transferring High Schools Worth It? Before I get into the story, let me give some background information. The high school I went to freshman year was my first choice high school; it’s a Roman Catholic predominately Black school. I’m not Catholic, I’m Muslim… this will play an important role later on. Okay, first day of freshman year: all the other freshman know are friends and have known each other their whole lives.. then there’s me. I knew no one, I was just this shy girl trying to figure out my schedule. Nobody talked to me; I was a loner. But that was okay, I excelled academically. I got A’s in most my classes. I know you’re like “Okay, Khiara. You didn’t have any friends, how is that so bad you had to transfer?” I’m just at the peak of the iceberg. I had many teachers I liked, many who liked me… then there were the ones that did not care for me. I had this one teacher, she was young and popular, and who obviously didn’t care about our education. She talked on the phone during class, she talked about students, copied tests offline and give them to us, allow students to cheat on the final, etc. It was terrible. Then, I got in trouble by her because I signed a petition to get her removed. Remember when I said I was Muslim earlier? I was made fun of because of this. Teachers would purposely say things during class, allow students to make rude comments while I was in the room. Oh! Did I mention I had another teacher who was old, mean, and prejudiced? The principal only cared about the athletes and the troublemakers. He lacked compassion and sympathy for all other people. On top of all of this, I had self-esteem issues, financial issues, and family issues. By then, I made a couple friends but it couldn’t ease the pain I had inside. I received a letter in the mail “... due to failure to make payments on tuition your child cannot return to school until a payment is made…” I was kicked out of school until my tuition got paid! How lovely. By the grace of God I was able to return to school but I was depressed. I was faking a smile so people wouldn’t see the pain I was going through. That was the moment I decided I needed to take a year off. My entire sophomore year of high school I talked to no one. I didn’t participate in group work, I skipped classes, I didn’t eat at all. I wanted to give up on life. I realized this was a terrible mistake. I needed to go back. My best friend still went to School A so the Tuesday after Labor Day 2015 I decided to “go back”. I was still in their system, my name was still on class rosters, so in my mind that translates to “I’m a student. All I have to do is show up and say I was on an extended vacation.” I got dressed in the uniform, I went to 3 classes that day then BOOM! I got caught and was sent to the principal's office. I was so embarrassed. Not because I got caught but because I was telling teachers to give me the missing work from the first 3 weeks of school. The principal laughed in my face, a office aide laughed in my face, multiple teachers laughed in my face. I had to call my dad and tell him I got in trouble for sneaking into school. I’m the only person you’ll ever hear say they snuck into school. Anyway, I became the joke of sophomore year. I kept in touch with the Director of Admissions at School A and she helped me get back in. So, after another school year of hell I was admitted back into School A. Being at that bad school taught me a few things, though. I learned to love myself and fixed some of my self-esteem issues. I became confident in class. Most of all, I received an A in Honors Algebra II (this has no significant meaning besides I take College Algebra now as a junior.) At the end of the day, those 10 months of hell allowed me to have 2 more years of sanity and happiness. Now that the long story is over I’ll give some tips from my experience. Tip 1: DO NOT TRANSFER UNLESS YOU TRULY NEED TO! For my case I needed to transfer because of those personal reasons but if you can prevent or hold off on transferring then I would. If you feel the need to transfer because you have no friends then maybe you should just stick it out. High school isn’t about making friends, honestly. You’re there to learn and to discover yourself. You could have the same mindset as me and think you’re adult enough to make certain decisions. You’re not. Get an adult and talk to them about transferring. Talk to the counselor, the principal, your guardian, somebody who has the knowledge on what you’re about to get yourself into. I’m still suffering from this. Not all the classes I took at the other school transferred to School A. Talk with the new school and the old school to make sure you’re on the right track at both locations just in case. I am living proof of that. At the end of my sophomore year I had a 4.01/5.0 GPA. As long as you put your all into yourself and your work you’ll be okay. The Young Patriots Essay Contest is designed to challenge middle and high school students to creatively engage with public policy and current events through the art of writing. We assign a controversial topic each year, and three winners are chosen to receive a scholarship out of hundreds of essay submissions. Find the topic and entry instructions below! "Are international free trade agreements in the best interest of the United States? Why or why not?" Essays must be written in English and should not exceed 1,200 words. A bibliography does not count towards the word total. Do you know how far you will drive on the freeway if you take your eyes off the road for five seconds, the average time it takes to send a text? An entire football field. According to the Virginia Tech Transportation Institute, texting while driving makes drivers 23 times more likely to get into a "safety-critical event." The purpose of this scholarship is to help you understand the risks of texting while driving. You must be a high school freshman, sophomore, junior, or senior or a current or entering college or graduate school student of any level. Home-schooled students are also eligible. There is no age limit. You must also be a U.S. citizen or legal resident. We'll select the 10 finalists based on the content of the 140-character message. The winner will be selected based on the content and creativity of the 500- to 1,000-word essay. The College JumpStart Scholarship is an annual, merit-based competition that is open to 10th, 11th and 12th graders and college students and non-traditional students. The goal is to recognize students who are committed to using education to better their life and that of their family and/or community. Applicants must be 10th, 11th or 12th grade high school, college, or adult students. Applicants may study any major and attend any college in the U.S. Applicants must be legal residents of the United States and complete the online application form including the required personal statement. The award may be used for tuition, room and board, books or any related educational expense. All high school students and international equivalents are invited to submit an essay about the recent effects and future promises of science in our society. Write about particular discoveries, events, or persons from science in current events or present a more general account of the changes and developments. Each essay must be accompanied by a statement of acknowledged validity by a teacher in the field of the sciences, technology, engineering or mathematics. Students must submit their essays and entry forms electronically on or before the contest deadline of October 8th. Students who have family members affiliated with the Journal, or serving as contest judges are not eligible to participate. This year's prompt: Albert Einstein once said, "To raise new questions, new possibilities, to regard old problems from a new angle, requires creative imagination and marks real advance in science." The scientific process has become increasingly interdisciplinary. Examine a modern issue in STEM being addressed from an interdisciplinary perspective and discuss the advantages and disadvantages of how these separate fields approach the issue and interact with each other. Potential topics could be found within many fields, including environmental science, engineering, and neuroscience. Note that originality is a substantial component of scoring. - No literary form other than an essay will be accepted. - Each essay must reflect the contestant’s own writing and original thinking. - No graphs, images, or illustrations should be included in the essay - The essay must be sent via e-mail to dujs@dartmouth.edu with the subject line "DUJS ISEC SUBMISSION." - The Student Entry Form should be scanned and saved as a .pdf, .jpeg, or .png It must be attached to the email in conjunction with the essay. - Entries must be received on or before October 5th. The contest is open to United States high school students in grades nine through twelve (9-12) attending public, private, parochial, or home schools; U.S. students under the age of twenty enrolled in a high school correspondence/GED program in any of the fifty states, the District of Columbia, or the U.S. territories; and U.S. citizens attending schools overseas. Past winners and finalists are not eligible to participate. Employees of John Hancock Financial Services and members of their families are not eligible to participate. Topic: Describe and analyze an act of political courage by a U.S. elected official that took place during or after 1956. Include an analysis of the obstacles, risks, and consequences associated with the act. The essay may concern an issue at the local, state, national, or international level. In order to apply for the Odenza marketing group scholarship, you must first ‘like’ our Facebook page, and write two short essays. Every essay must contain 3 essential elements. The essay must provide a thesis statement (in the introductory paragraph). The thesis statement must encapsulate the main argument for the paper. It must be clear and coherent, and it must answer the question that has been put forth by the application. The essay must offer supporting evidence. The writer must provide the supporting evidence in paragraph (not bullet or list) form. Each paragraph must contain evidence that supports one idea or concept that proves the thesis statement. The writer must provide citations (in footnote, endnote, or parenthetical form) for all evidence presented. Every essay must follow basic rules of grammar and format. Every paper must contain a beginning (introductory paragraph), a middle (several supporting paragraphs that compromise the body of the paper), and an end (conclusion paragraph). Grammar is vital for essay composition. Sentence fragments, misspellings, and improper punctuation denote a carelessly-written and poorly-conceived paper. Scholarship is open to U.S. citizens and legal residents who are starting a program of higher education (college or graduate school) within the next 12 months or are currently enrolled. Applicant must be 17 years of age or older and there is no maximum age limit. Applicant must share in three sentences of less why they are getting their degree. Scholarship is open to students 13 years of age or older who are legal residents of the 50 United States or the District of Columbia and are currently enrolled (or will enroll no later than the fall of 2022) in an accredited post-secondary institution of higher education. Applicant will need to submit a short response to a given prompt. Scholarship is open to high school seniors and college students enrolled in an accredited academic institution. Applicant must submit an essay on the most interesting item they have received in the mail. Competition is open to individuals and teams of up to three students in grades 9 through 12. Students are encouraged to do research in mathematics, engineering, biological, or physical science. Finding relevant scholarships can be a challenge; anyone who’s spent more than five minutes searching for one can tell you that. There are numerous scholarship search websites that boast about having millions of scholarships worth billions of dollars in total and that they’ll match you with the perfect ones just for you, but do they actually work? Are your scholarship matches really individualized? How many of those millions of scholarships can you actually apply for? To find out, sign up for six of the most popular free scholarship websites. I filled out each profile as thoroughly as possible in order to get the most relevant matches, listing three different majors (journalism, biomedical sciences, and mathematics) for each website, so as to distinguish between a website not having major-specific scholarships and there not being many scholarships for a specific major. I’d used Fastweb before as a college search engine, but never to search for scholarships. Every time I would open the website, their main page would always boast about their more than 1.5 million scholarships and how their system targets the perfect scholarships for you based on your interests and skills, so I had high expectations. After filling out my profile, I was matched with 49 scholarships, most of which were pretty general. I only found 3 scholarships that correlated with the majors I put in my profile, but most of the others were ones anyone willing to write an essay or create a short video could apply for. These scholarships seem to be based primarily on age, though the ones I was not qualified for based on my profile were eliminated, so I didn’t have to do a lot of voting through. 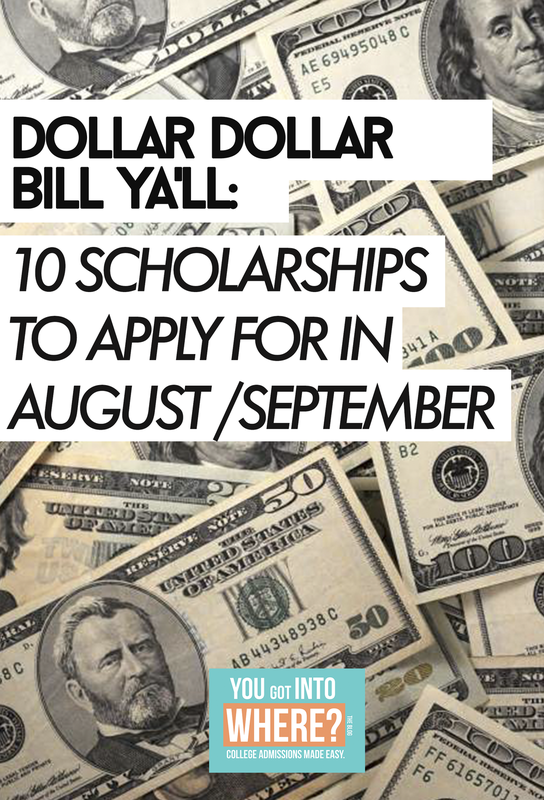 These types of scholarships are great if you do not know what you’re majoring in or you aren’t super passionate about anything, and if you want to apply to a large quantity of scholarships that don’t require pages and pages of essays. At the end of the week, I had 2 new scholarship matches, so it seems that their website is updated quite often. Conclusion: While most Fastweb’s scholarships may not be individualized, it is nevertheless a great resource for scholarships, especially for those who don’t know their major. Cappex is primarily a college search website, and, from what I’m told, is a pretty good one, but it also has a section for scholarships, which sounded very promising. Despite my rather thorough profile, the scholarships I matched with on Cappex weren’t at all individualized; I didn’t find a single one that correlated with the majors I entered in my profile, unless you count the FeetRemedies.com Scholarship on plantar fasciitis for biomedical science. Like Fastweb, it seemed I was matched with scholarships based only on my age, taking nothing else into account. This can actually be a good thing, as I previously explained, but unlike Fastweb, some of the scholarships I matched with I could not apply for because I was simply ineligible for them. Whether it was because I was not a returning college student or a resident of Texas, these scholarships could have been weeded out easily using the information in my profile. The remaining scholarships I was eligible for were of quality, but they could also be found on Fastweb, which had a few more than Cappex did as well. Conclusion: Although it may be a good college search website, I found it to be a mediocre scholarship search website. Raise.me is a bit different from your typical scholarship searching website. Instead of matching you with scholarships that you then have to apply for, you are awarded with micro-scholarships from different schools based on your achievements in high school: $500 for each A you get, $200 for having perfect attendance, $10 for every hour you volunteer, and so on. You’ll receive more or less money from an achievement based on the school, as some schools are more focused on community service or extracurricular activities more than others. The most money I received from a school was $70,150 ($17,538 a year) and the least was still $1,455 ($364 a year). It all seems a little too good to be true, and, depending on your preference in schools, it is. Of the 130 schools offering micro-scholarships, most of them are small, liberal arts schools; only 38 schools on the site have over 5000 students, and there aren’t exactly any big name schools. Most of the schools I received micro-scholarships from were from schools I had never heard of in cities I had never heard of. So, while I would definitely give Raise.me a chance, if you know you want to go to a large school or an Ivy League university, it may be best to look elsewhere. Conclusion: Fantastic for small liberal arts schools and a few large state schools. To my complete surprise and excitement, this was the first scholarship search website I visited that actually took my profile into account when matching me with scholarships. The scholarships I was provided with fit not only my majors, but also a few other factors listed in my profile such as my religion and high school activities. While I was matched with a few seemingly random scholarships like the ones for PlumbersStock.com and the Maine Grocers & Food Producers Association, most of them either matched my interests or were just generally geared towards all students my age and only required an essay, both of which are things I want when applying for scholarships. Conclusion: By providing largely relevant scholarships with varying degrees of difficulty, Scholarships.com is a fantastic resource and lives up to its’ name. The College Board website is one many high school students are familiar with in some capacity, mostly from viewing scores for the SAT, the PSAT, and any AP tests, but it also can be used to search for scholarships. Although it matched me with the most scholarships in total, I was not able to apply for many because they were either past the deadline or I was just ineligible. I did, however, get matched with scholarships that were relevant to my major, but not to anything else; it seemed this was the only website that did not take my age and high school status into account when picking scholarships for me. They only provided a few general anyone-in-high-school-can-apply scholarships: most of their scholarships had specific qualifications such as race, religion, and membership to an organization that I did not fulfill, making me wonder why they were presented as options to me in the first place. All that being said, the scholarships specific to the majors I put in my profile were pretty fantastic on a monetary level and, as a whole, not that difficult to apply for. Conclusion: Can provide one with great scholarships relevant to their major if they are willing to comb through the ones they’re ineligible for. When I began looking into different scholarship sites, I had a bunch of people tell me that should sign up for Zinch because they either read an article about it or knew someone who used it. So, sure enough, I typed in Zinch.com and was redirected to a site called Chegg, which specializes in textbook rentals. Thinking I had typed it in wrong, I tried again, but it still came back to Chegg. I soon came to realize that Zinch had been bought out by Chegg in 2011 and their scholarship section had been moved to the last to the last section of the last tab on the homepage. I was curious to see if, despite this major status downgrade, the famed scholarship search engine still lived up to its’ name. I was matched with scholarships on Chegg based solely on my age and year in school, which at this point I’ve come to expect and appreciate in some ways; however, a little over half of the 86 scholarships I was matched with I was ineligible for. Attached to each scholarship were little tags that showed what aspect of my profile it matched: my age, year in school, or sometimes, my citizenship. These tags only graced 37 of the 86 scholarships I matched with, and the rest I was not eligible for because of my age, year in school, or citizenship. The scholarships I was eligible did have a wide range of participation levels, ranging from collecting peanut butter for a food bank to writing an essay about how collecting peanut butter for a food bank can affect your life. Community service was a common theme among many of the scholarships I matched with, which gave the website a bit of a flair in my opinion, as many of the scholarships I looked through over the week were more about academic achievement. Conclusion: Not sure it lives up to the glory of its’ original name, but it proved it deserves more than being the last section of the last tab. A few months ago, I remember receiving an email from Ana McCullough titled, “An invitation from Questbridge.” Admittedly, I simply selected it and marked it as read, as I do with all of my college emails. However as time passed, I continued to receive more and more emails from Questbridge inviting me to apply, so I finally clicked the link. That is when I learned about the College Prep Scholarship program. On their website, I discovered the plethora of resources they were offering to students who were awarded their scholarships: counseling with college essays, full rides to pre-college summer programs at top universities, and more. I did not end up applying to the program however, and it is something I regret as I begin my college application process. Questbridge was created by Stanford students as part of an initiative to increase student outreach. Their mission is to help high-achieving, low-income students learn about a myriad of opportunities available to them by assisting in their application process to top universities partnered with the organization. In addition, they offer a variety of resources on their website for everyone to use such as tips for writing a college essay and using the low-income strategy. Questbridge offers three main services: College Prep Scholarship Program, The National College Match, and The Questbridge Scholars Network. The College Prep Scholarship program is targeted at low-income, high achieving, high school juniors. The application opens in mid-February and is due in the last week of March. It includes a very extensive application that requires personal information, financial background, academic records, letters of recommendation, personal essay, short answer responses, and an activities list. Even though a lot is required of applicants, the benefits for the scholarship winners are endless. As the name suggests, the program offers rising seniors with college preparation resources. Members will receive the opportunity to attend Questbridge’s annual conference to sit in on exclusive presentations by admission counselors. Students who previously had not thought of applying to a selective college often leave the meeting inspired after learning about the generous financial aid offered by top colleges and the large support system waiting for them at these universities. The essay used for the application will be used for college applications and will be reviewed by a college counselor for free, a service that can cost up to thousands of dollars, and is otherwise unattainable for low-income students. Another major component of this program is full-rides to attend pre-college summer programs at these prestigious universities, including Stanford, Columbia, UChicago, to name a few. Students are able to earn college credit and experience learning in a college environment while still in their high school years, something that low-income students would not have the chance to experience otherwise. In addition, admitted students are able to receive information throughout the year regarding topics such as fly-in programs, mentoring programs, and will have the opportunity to apply for Quest for Excellence awards. While the application may seem daunting at first glance, if you start early and work step-by-step without procrastinating, you will complete it in time. If accepted you will be able to meet with a community of people who have gone through significant challenges in life, and you will be able to have them as a support group for your college admission journey and beyond. The National College Match is a program targeted at rising high school seniors. The application opens in June and is due in late September. It is very similar to the application used for the College Prep Scholarship, in fact, you even have the option to reuse its application for this program. The National College Match helps high school seniors apply to college and gain admission to top universities by providing them with a free application that is able to highlight the strength of their accomplishments in regards to their circumstances. This program offers opportunities for low-income students to be recognized in the same light as their competing peers. After submitting the application, members have up to mid-October to rank Questbridge’s partner colleges from 1-12, 1 being your top choice and 12 being your last, of course you don’t have to fill all 12 spots, you could even only submit 1. Ranking colleges means that these are the colleges you want to be considered for admission with a college match scholarship which provides a full-ride for all four years of college. While all partner colleges provide students with scholarships to fulfill 100% of demonstrated financial need, the college match scholarship eliminates the need to fill out FAFSA and the CSS profile every year. However, with the exception of Stanford, MIT, Yale, and Princeton, the college match is binding, meaning you have to attend no matter what. You will only be matched to the school that is higher up in your list that wants to offer a match. (Say the University of Pennsylvania is your second choice and Trinity College is your fourth and both schools are interested in providing a college match scholarship, you will only be matched to the University of Pennsylvania). Students will receive notification of their status in the first week of December, students who do not match have the option to apply early action/decision or through regular decision. To some students, this may seem as a high degree of commitment, therefore some finalists opt to not enter the match, but rather choose to apply through Regular Decision. Applying through regular decision allows them to apply to partner colleges for free, and are still able to receive a generous financial aid offer, and are able to compare offers if admitted to more than one. If admitted to a partner college either through the match or regular decision, students gain access to the Questbridge Scholars Network, a community of scholars to guide you through college and other elements of it such as internships, to help you succeed through it. Bottom line, applying to the National College Match does NOT guarantee admission to a partner college, in fact most students are not admitted. However, there is nothing to lose from applying. You are granted the opportunity to begin applying to college two months before applications even open on August 1st. By September, you will have everything needed for your other non-Questbridge college applications, minus the supplements. Even if you are rejected, you almost have all the materials needed to apply to schools through the Common Application. And of course, there’s also the chance of being selected as a finalist, and even admitted to a top university. Once a student commits to a partner college they become a member of the Questbridge Scholars Network chapter at their respective college. The QSN will send information about internships and grants throughout your college career to help ensure each student's success. In addition, the chapter serves as a support group, preventing students to drop-out as a result of unforeseen pressures and stress, allowing them graduate in four years, and helping each other overcome the hardships that come being a low-income, first generation college student. I encourage all students to read more information about Questbridge and their many programs offered. Every year, low-income students are given a once in a lifetime opportunity to attend a top university for free. As an international student, transitioning into college or university can be stressful—and that's without the change of climate, culture shock, or language barrier—so here are six savvy hacks to make your international studies easy-breezy! Trying to scrounge up a few extra dollars for the next lunch of Raman noodles is the sad reality of most college student's lives, but lucky for you, keeping track of your money couldn't be easier. Mint, an app available for free on iOS, Android or desktop, easily connects to your bank account to manage all aspects of your activity, including spending, savings, earnings and budgeting. (They also update a cheeky, informative blog called MintLife for all your financial/lifestyle questions). This well-trusted app also determines your spending habits and can alert you whenever you're nearing your budget limit, keeping your credit in line and extra cash in your hand. Navigating through a brand new area, especially a large place like California or New York, can be intimidating and downright irritating. But how do all of those other people get around so quickly? Easy; they know the ins and outs of the city, and soon you will too. Google Maps is a great GPS tool for newbies, but knowing the city is about more than just recognising the street names—It's about discovering the local shops and attractions, as well. Like A Local, a free app, is exactly what the title claims to be. This handy app tells you what the locals' favourites are around your area. Now you can let yourself explore while staying away from those tricky tourist attractions. Even with the confusion of foreign currency, you'll be the best sale-scavenger around if you utilise one of the most accessible, underrated tools out there: coupons. I'm not talking about your grandma's $1.00 off Dish Soap discounts, either. How does up to 85% off your retail purchase sound? Sounds like my wallet is yelling, "hallelujah!" Apps and websites like Yowza and Groupon offer sales that can save you big time, and here's how it works—Just type in the store/item you're looking for into the search bar, and the app will give you a selection of coupon codes to enter into the 'discount' section on your chosen store's website. There are also coupon apps that offer digital discounts that allow you to save your chosen coupon, then present it on your phone at the check out in-store. Just like Grandma, except more $$ saved and it's much more convenient. Organising any priorities for the day should be a habit that any university student utilises—especially international students. Within the hectic mixture of moving, having new classes, meeting new friends, and all the other struggles that non-international students don't have, a to-do list is a must. The easiest way to keep track of your assignments, or whatever else you need to do, is to remind yourself. Sound's simple, right? It is. With technology, to-do lists have been modernised into something that's reliable and simple, and it's never been easier to remember things. My personal favourite for this specific task is Wunderlist; Wunderlist is an app (plus it's available for download to your desktop!) that helps you organise your busy life in a minimalistic, trustworthy fashion. The reason you even became, or are thinking of becoming, an international student is because of the education opportunities, right? You should make sure that your class marks stay in tip-top shape by using Evernote. If you had to pick only one of the apps listed , Evernote should be the one you choose. It's the smooth-running, multitasking king of organisation, equipped with note taking, bookmarking, online chat with other students, to-do lists, and more! So whether discovering convenient, local shops is your forte, or if you're more of a study-on-the-go type of person, hopefully you can find some great resources within these top six apps! Good luck on your journey to a new life, and don't forget to let us know in the comments if you've ever tried one of these apps! August 1st has come and gone, which means that college application season is now in full swing. As students across the country decide which schools they want to commit four or more years of their lives to, the subject of money weighs heavily in the back of their minds and influences where they apply. It’s no secret that a higher education puts a dent in your pocket, but knowing what financial aid options you have can make it less severe. The Free Application for Federal Student Aid (FAFSA) is the most common form of financial aid. In fact, most colleges require students to fill it out so that they can be considered for the schools’ own merit or need-based scholarships and grants. 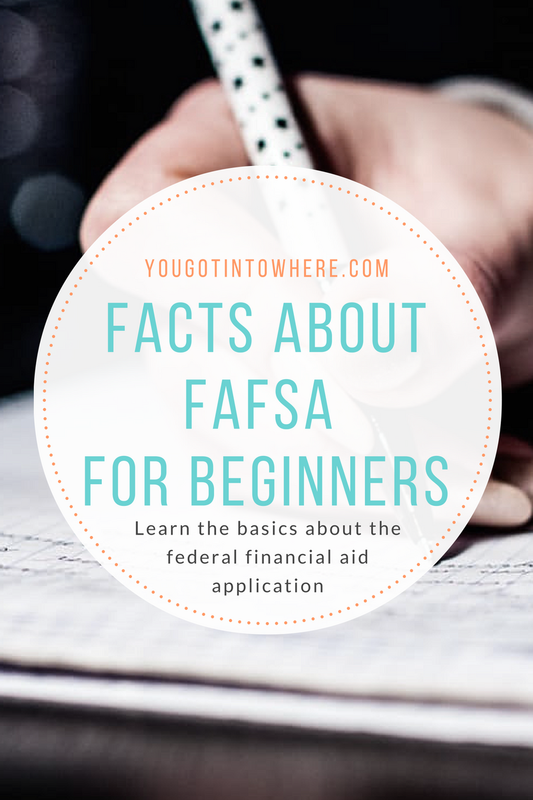 Depending on your financial situation, the FAFSA might do a lot for you, or barely anything at all- still, even if you think that you don’t qualify for aid, you should still file, because you’ll never know what you might get until you do. Two big changes have been made for the 2017-2018 application cycle: one, you can use your income information from 2015 instead of 2016, and two, the FAFSA will be available on October 1st, 2017, which is the earliest it’s ever been accessible. So, mark your calendars and when October comes around, make the wise choice of filing your FAFSA. For more information, check out this website. Scholarships are probably the most obvious form of financial aid, but many students wait for scholarship opportunities to find them instead of taking matters into their own hands. It is better to be proactive throughout the coming months by researching what you are eligible for first on a local, then national scale. Make sure to talk to your counselor for assistance. If you want more insight into how to find scholarships, check out Joi Wade’s post, How to Get Scholarships for College!. Find out if you qualify for participation in Regional Exchange Programs. These programs are not often talked about, so here’s the scoop: by being a part of one of them, you can pay in-state tuition at an out-of-state school. For example, when participating in the Southern Regional Education Board’s Academic Common Market, a student who is a resident in South Carolina can get the in-state tuition at colleges in many other states, from Georgia to Alabama to Maryland. Be wary of these programs, though; it is usually the case that someone is only eligible to take part in them if their major is not available in their home state. Learn more here. Whenever the word “loan” is mentioned, students and parents alike get a bit uneasy. The thought of graduating with debt to pay back for years to come is unsettling for most people, but there are multiple options for loans that you can research. It is recommended that you apply for federal loans before searching for private ones, with the most popular being the Stafford and Perkins loans. There are two different types of Stafford Loans: subsidized and unsubsidized. The subsidized Stafford Loan is available to students who qualify for aid based on the FAFSA, and interest that accrues is covered by the government until six months after the student leaves school. The unsubsidized Stafford loan is available to any student who has filed the FAFSA, regardless of need, but interest payments are the students’ responsibility from the get-go. The Perkins Loan is for students with exceptional financial need. The student’s school acts as the lender, using funds provided by the federal government, which also pays the student’s interest throughout their college career. Not all schools are a part of the Perkins Loan program, so it would be wise to contact the schools you apply to so you can verify their participation status. For more information on these loans and others, check out this website. Hopefully by knowing your options for financial aid, you will feel more confident about paying for your higher education, and won’t be deterred from applying to certain schools simply because of their price tag! Remember that these are not the only options and just a few to get you started. Always talk to a trusted family member about all of your financial options for paying for school. If you are in high school, your parents may be pushing you to begin looking for extra money to pay for college. The realm of scholarships is large and confusing and some people find themselves overwhelmed and then give up applying. Here are my top five tips for getting scholarship money for school.